Are you having difficulties keeping up with a growing technology stack? If you answered “yes,” creating a technology roadmap for your business could be the answer. Put simply, a technology roadmap is a visualization of how an organization matches its tech solutions with short-term and long-term goals. Suppose you’re focusing on a couple of IT infrastructure projects that currently don’t fit your product roadmap. With a technology roadmap, you can plan how these infrastructure-related initiatives could impact your product goals. Technology roadmaps can also be used to organize your company’s internal IT systems, which is the most widespread implementation of technology roadmaps. Its primary purpose is to provide you with a bird’s-eye view of everything that goes on within your organization as far as technology is concerned, be it your CRM platform, content management system, accounting software, and so on. It may seem like a job for an experienced specialist, but creating a technology roadmap — especially for smaller businesses — doesn’t have to be rocket science. In this post, we’ll walk you through the eight steps to creating a technology roadmap to help you stay on top of your technology stack. Before anything else, let’s get one thing straight. Creating a technology roadmap for the sake of having one is a waste of valuable time. Remember, technology roadmaps are all about identifying your organization’s goals and piecing together technology solutions into workflows that accomplish them. They are also used to help highlight available additions and improvements in your current stack of technology solutions. For example, if you are about to migrate to a new project management platform, a technology roadmap will help you execute a smooth transition. A technology roadmap can also be used to gain visibility over your IT infrastructure. This, in turn, may help you measure software ROI, optimize your budget, and monitor the changes. At this point, you can keep things simple and focus on jotting down your business objectives. You may discuss and plan how to weave together your roadmap later — right after you identify who is involved in your technology roadmap. The next step is to gather all the stakeholders that will be affected by your roadmap. For small companies, this often involves everyone — from your front office all the way up to the C-suite. As long as certain technology investments will impact their everyday tasks, they deserve a voice in the road-mapping process. After you identify the stakeholders who should provide their input, there’s no need to do anything fancy. Just straight-up talk about your roadmap over coffee or have a conference and brainstorm as a group. By the end of all the discussions, make sure you and your stakeholders agree on the top issues that must be prioritized in your technology roadmap. As a rule of thumb, start with the top bottlenecks to your operations. You then work your way down by reviewing how your teams use certain technologies and define the inefficiencies that can be ironed out. While you’re at it, should also look for potential technology investments that will help streamline tedious tasks. Of course, factor in the potential expenses of your strategy and calculate whether or not the technology life cycle is worth the trouble. Don’t forget to categorize the objectives you wish to include in your technology roadmap according to department. This is crucial to the organization of your roadmap items, which will be discussed in step number five. For the sake of this guide, let’s put together your technology roadmap with Trello — a user-friendly project management system. Trello uses a card-based interface that lets you organize individual tasks into lists, which then goes into specific boards. Here’s how it should pan out: start by creating a new board for your technology roadmap and define the timeframes you want to work with. The usual route is to create a list for each quarter of the year. Just remember that there are plenty of more robust tools out there that you can use to build your technology roadmap, like Roadmunk and Smartsheet. Trello only happens to be free as well as incredibly easy to learn and use for the purpose of road-mapping. Of course, you could always create a technology roadmap by hand — but that would make it hard for us to demonstrate road-mapping in this post. 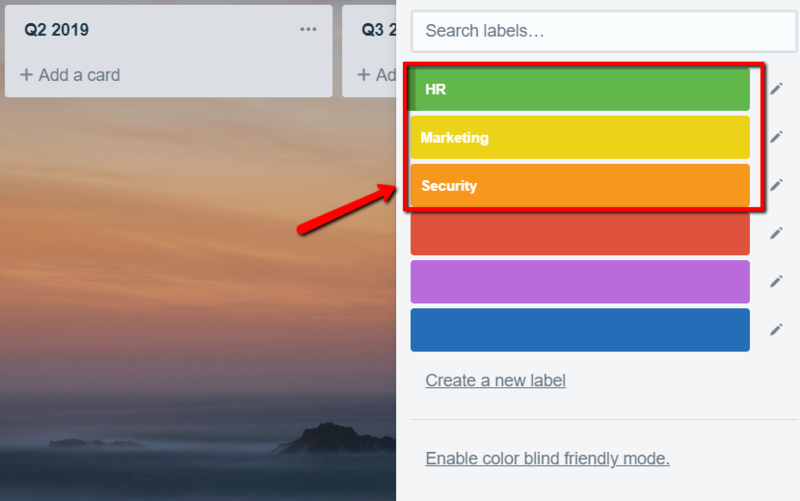 A key feature that makes Trello perfect for roadmaps is the labeling tool. Basically, it allows you to color-code your roadmap items or “cards,” which will allow you to sort them into categories. Once you prepare the labels you’ll use for your technology roadmap, it’s time to populate it with your organization’s goals. For example, let’s say you’re a new trucking owner-operator and needs to add “install smart dash cams” as one of your goals for Q1 2019. You can then open this card, fill in a description, and apply the right label to it. 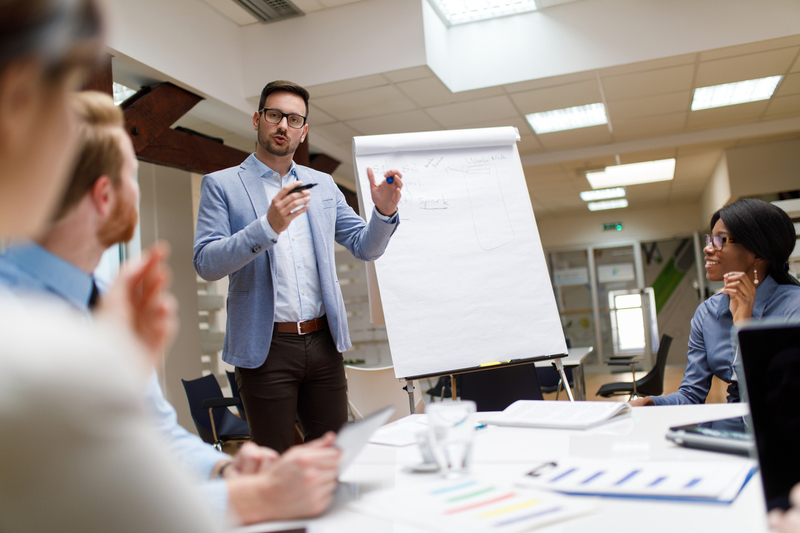 After you set the right category for a roadmap item and fill in the details, be sure to assign it to the stakeholders responsible for its completion. Simply click “Members” from the card view and enter their email addresses or Trello usernames. Putting it all together, here’s what your Trello-powered technology roadmap may look like. If you’ve been following along, you should be able to understand the example above. Basically, there are three roadmap items that must be completed in Q1 2019. But what if you want the Buffer-WordPress integration to be done by the second week of January? That’s when you should specify a deadline for that particular goal. 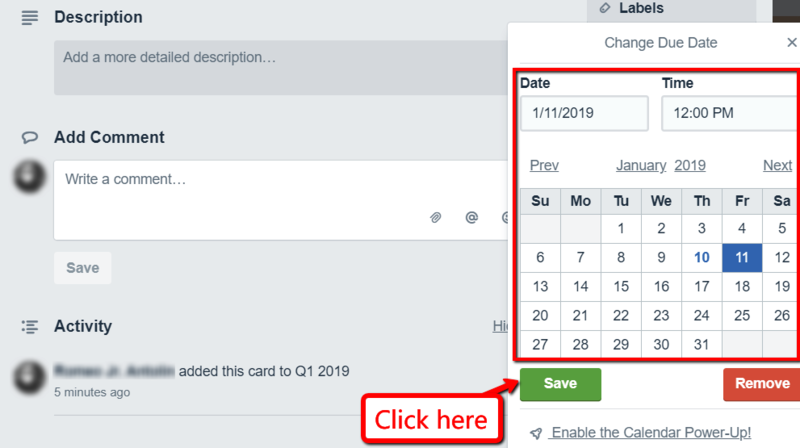 All you need to do is open the card view, click “Due Date,” and select the date you want to use. Deadlines are a great way to mobilize the teams involved in your technology roadmap. They spur progress through the sense of urgency, which keeps you on course to accomplishing your business goals. That’s it — you now know how technology roadmaps are used and how to build them. The next and final phase to road-mapping is to conduct follow-up activities, particularly validating the roadmap, developing an implementation plan, and fine-tuning it over time. Again, the input of your stakeholders is indispensable during the follow-up phase. It’s also important to understand the scalability of the technologies and third-party services you use to make sure they don’t slow innovation down. For example, an enterprise-grade internet service provider should be able to cater to the changing needs of a budding business. This applies to an expanding company’s ever-growing security, communication, and bandwidth requirements. Most importantly, your organization must establish an ongoing, transparent review method that constantly seeks opportunities to improve the roadmap. The main objective here is to ensure the prompt completion of business goals with technology at the helm. A technology roadmap can help you make sound technology investment decisions when options aren’t always clear and prepare your business technology to compete now, and in the future. It can also be used to help you measure the ROI of these investments and determine what needs to be replaced, removed, or changed. If you’re currently building a technology roadmap, why not include a business network upgrade as one of your goals this quarter? Don’t let business communications be the bottleneck to your company’s success. Cox Business offer flexible business solutions that can be tailored to your organization’s unique needs. Learn more about our services by clicking here or calling 1-866-456-9944.